It is a standard for patients with a history of periodontal disease or multiple dental or implant restorations to have more frequent check-up appointments. For these patients, a periodontal maintenance interval of 3 -4 months is recommended. Research shows that patients who are more compliant with their 3-month periodontal maintenance schedule show the best long-term periodontal results. It is also highly recommended to have alternate periodontal maintenance visits in severe periodontal cases, and multiple implant restorations between the periodontist office and the general dentist office. 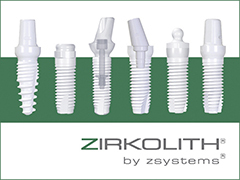 This provides the most optimal periodontal and dental implant prognosis.